Boxed Macaroni & Cheese: The Winner! 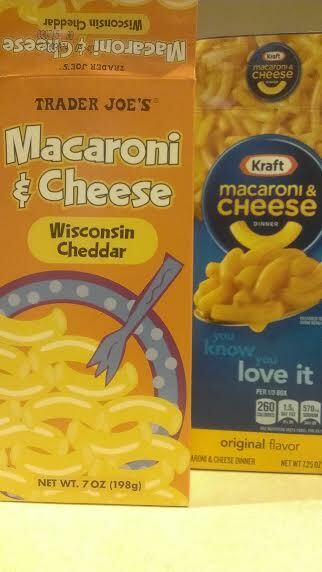 Last year, we decided to test various brands of boxed macaroni and cheese in order to find out which one was best. Obviously, none of these can compare to homemade mac ‘n cheese, but on a busy weeknight, who’s got time for that? The boxed stuff has always been about convenience. 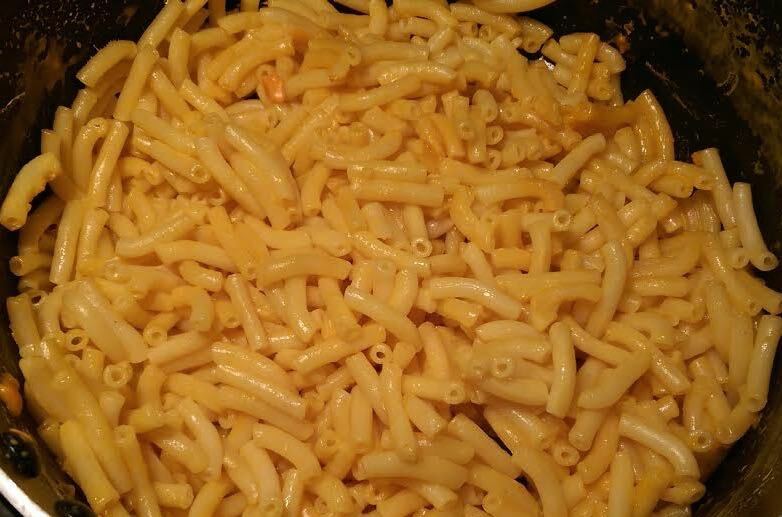 You don’t go to McDonald’s and dream of the prime rib you could have had, and when you reach for a box of mac ‘n cheese quit thinkin’ about how creamy, delicious and far superior homemade is. You’ll drive yourself crazy doing that. Round One pitted the trusty standby in the familiar blue box and favorite of kids everywhere, Kraft, against a young upstart, Trader Joe’s. 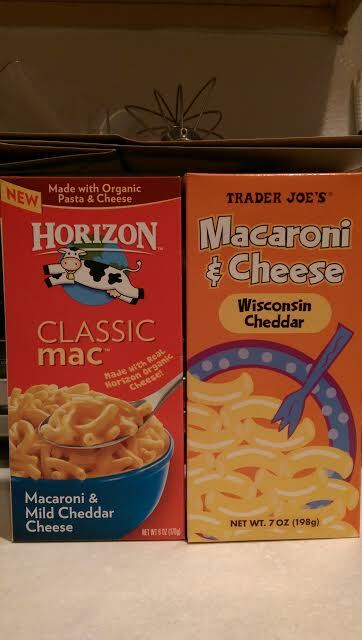 The new kid on the block pulled off the upset, with TJ’s mac ‘n cheese narrowly beating out Kraft. In Round Two, we tried out two organic brands, Annie’s and Horizon. That one wasn’t close: Horizon was easily the unanimous favorite, winning the hearts and minds of all three judges with its creamier and cheesier taste and texture. Since that challenge, Horizon has become our new household favorite. But is it good enough to best Trader Joe’s? This evening, we prepared a box of each. Tried a spoonful. And declared a winner. Honestly, I was expecting it to be Horizon. But my daughter and I both thought the Trader Joe’s was much tastier. Must be that Wisconsin Cheddar! To me, TJ’s tasted a little sharper and was more assertive, giving the mac ‘n cheese a nice little zing. It’s true that TJ’s doesn’t mix quite as well – both times we ended up with little clumps of cheese – but I like to think that’s proof of a less-processed product, and a great metaphor for life: it isn’t perfect, and not every bit of cheese will melt ideally. But in the end, it’s your enjoyment that really matters. Tara, who was the lone Kraft fan in the first challenge, preferred Horizon. But majority rules, and the new king of the boxed macaroni & cheese empire is Trader Joe’s. This was fun. If you have any suggestions for future challenges, let us know! 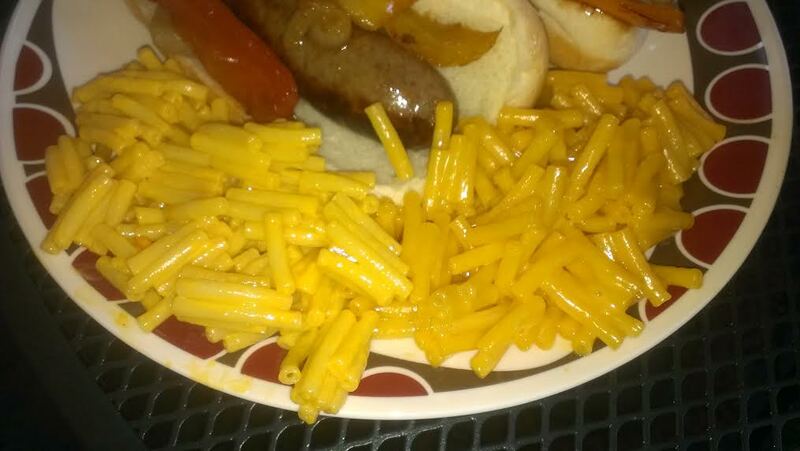 If you’re like us, you grew up eating Kraft macaroni & cheese. (Actually, if you’re like us, you still eat Kraft macaroni & cheese). The little blue box is ubiquitous with childhood, much like Saturday morning cartoons and Big Wheels. But Kraft is hardly the only boxed mac ‘n cheese on the market, and we began wondering how it would stack up against other brands. So we’ve decided to find out! We’ll have a bracket-style challenge pitting two competing brands against one another, with the winner of each round advancing in order to square off for the title of Best Boxed Macaroni & Cheese. This is something that will take awhile, so don’t look for a winner on Thursday. Our first two contenders: Kraft v. Trader Joe’s. The packaging alone sets Trader Joe’s apart from its better-known competitor. “Wisconsin Cheddar,” it proclaims, front and center. Kraft makes no such similar claim. The big difference is in the ingredients: the Trader Joe’s brand uses annatto for natural coloring, as opposed to Kraft’s use of yellow dye (something they have come under fire for). The safety of food coloring is questionable at best. Apparently they are gradually phasing out this additive, but the box we picked up still listed it as an ingredient. 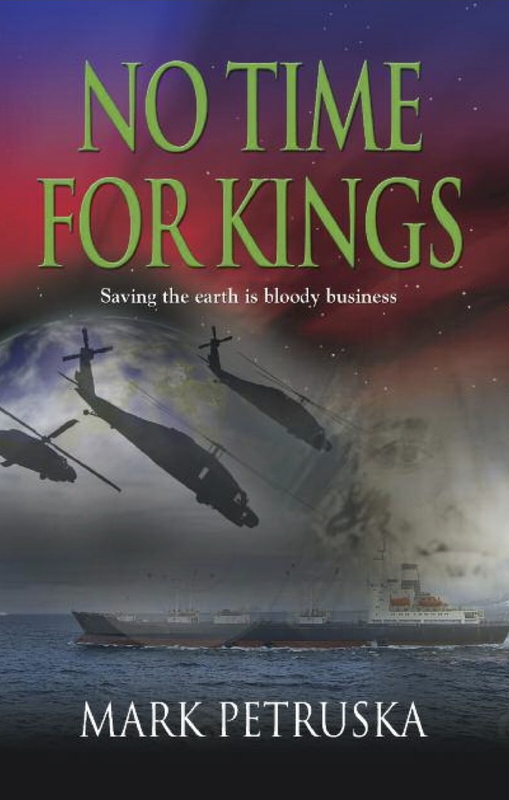 Time will tell how long it takes the company to make good on its promise. Regardless of the use of colored dyes, we’re not here to debate the merits of the ingredients. Each brand’s offering contains plenty of hard-to-pronounce preservatives, after all. We’re reviewing on taste – and even then, we’re not expecting to be blown away. 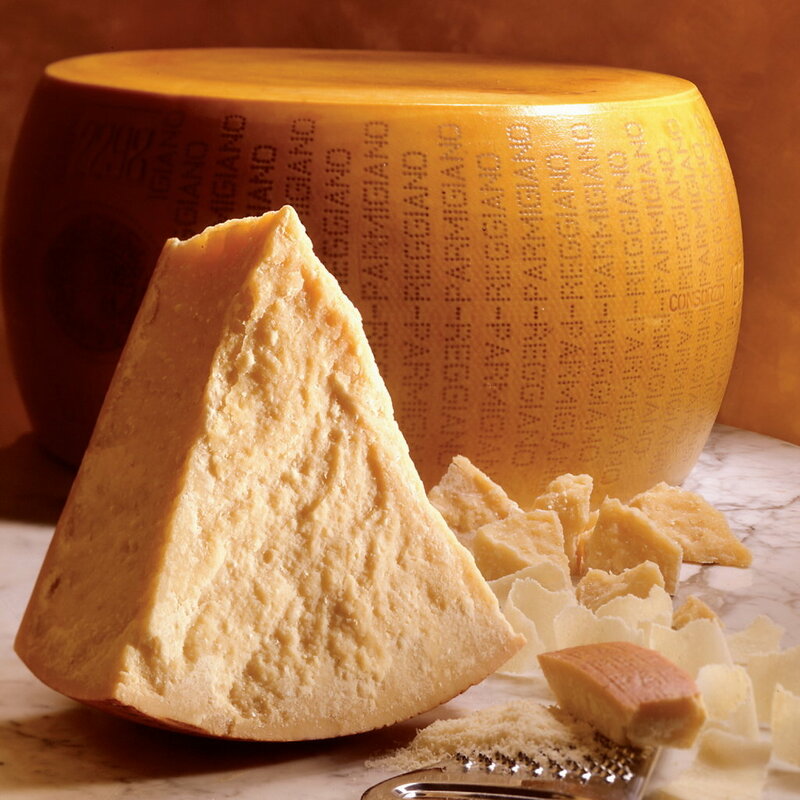 If you’re looking for authentic macaroni & cheese, you won’t find it in a box, regardless of the brand. Instead, it’s a quick and convenient side dish when you don’t feel like going to the trouble of grating cheese, making a casserole, etc. In the interest of fairness, we agreed to follow the exact instructions on each box, rather than doctoring up the preparation. The Kraft calls for milk and butter, while the Trader Joe’s requires only milk (though it is suggested you add 2 tablespoons of butter for a richer, creamier flavor). Both contain the requisite pouches of cheese powder. Kraft cooked up perfectly, without fail. The Trader Joe’s, on the other hand, contained clumps of orange cheese that no amount of stirring would dissolve. We finally did add butter, and that helped a little, but we couldn’t get rid of every last bit of cheese like we’d hoped. This made it less than appealing from a visual standpoint. Before even taking a bite, Kraft had the edge. And after taking a bite? That’s where the difference of opinions settled in. 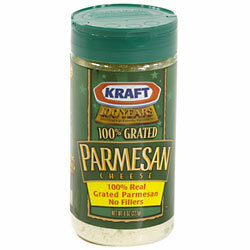 The Kraft was predictably rich and creamy, with its distinctive cheese-like flavor. Trader Joe’s was less gummy, and had a more natural cheese flavor. Tara liked Kraft the best. At first I agreed with her, but I think that was a case of familiarity winning out initially. The more I ate of both, the more I liked Trader Joe’s version, despite a few remaining undissolved flecks of cheese powder. To me, it tasted more “real,” and made every corresponding bite of Kraft taste more processed. Unfortunately, we ended in a stalemate. Like a hung jury, we were deadlocked. And then my daughter stepped in, and said she preferred Trader Joe’s, as well. So, there you have it. Round 1 goes to Trader Joe’s, though it was really close. Stay tuned for the next face off, coming soon. 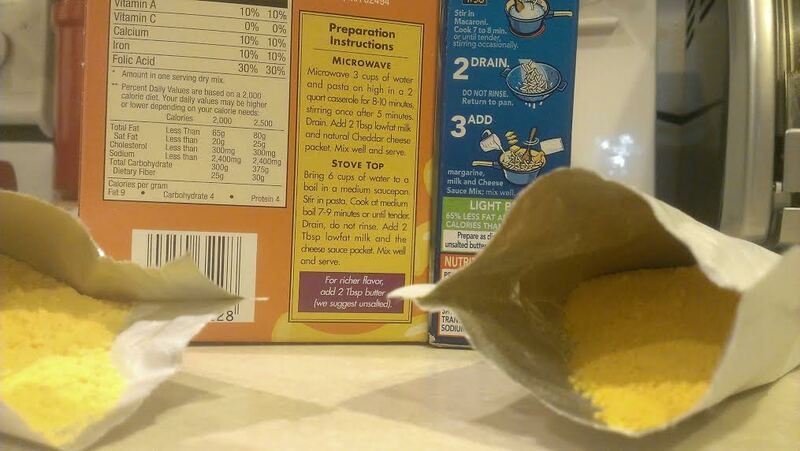 Trader Joe’s on the left, Kraft on the right.